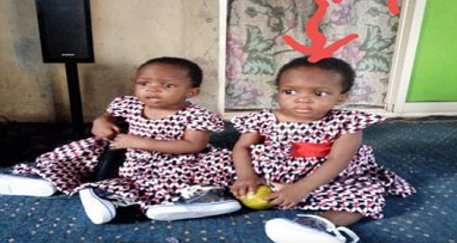 Medical Centre’s Head Nurse Dayo Badmus, who was referred to as Dr. Dayo by a paediatrician with the General Hospital, Igando, Lagos, identified as Dr. Joy, gave the late 15-month-old Taye Adetunji three 20 doses of analgesic injections, a panel heard yesterday. Badmus, it was gathered, told the Hospital Services Commission (HSC) investigating allegations of professional misconduct and negligence against the doctor that he acted on her instruction. The child’s parents as well as the doctor in the heat of the controversy were brought before the panel, which sat on Lagos Island yesterday, for them to state their case. The Nation learnt that Dr. Joy had initially denied knowing the injections Badmus administered to the toddler, but when the latter was called on hands-free phone, he confessed that the actions he took were based on the doctor’s instruction. Badmus, The Nation gathered, told the panel that Dr. Joy, the owner of the unregistered private clinic, instructed him to administer 20 doses of analgesics three times to the child, adding that he also gave her another injection on her instruction. Dr. Joy, who had told the child’s mother, Taiwo Adetunji, that her baby needed blood and oxygen, but there was no space to admit her at the General Hospital, Igando; denied referring the patient to her clinic, but changed her statement when the note she scribbled on a discarded duplicate teller was given to the panel. Giving details of what transpired at the panel, a source said: “When the meeting started, the victim’s mother explained what happened and Dr. Joy was asked to react. She denied referring the woman anywhere. “The panel was told the family had evidence and the board requested for the evidence. She was asked if that was her handwriting and she answered in the affirmative. Then, she was warned about telling lies. She admitted that she referred them to her clinic and when they asked her the relationship between her and Dayo Badmus, she said she employed him to work for her. “They asked her questions about what happened that day. She explained and the board told her that from the beginning till the child died, all she did was wrong. “They asked her if the case was an emergency as she stated. She was asked many questions, but she could not answer them. “Initially, she claimed she did not know the injections Dayo Badmus administered to the baby. Badmus was called immediately and the phone was put on speaker. He said he carried out Dr Joy’s instructions from the beginning to the end. The Nation gathered that the nurses on duty at the General Hospital, Igando that Sunday were also invited and they confirmed that they saw the woman and her child. The nurses, it was learnt, told the panel that they asked the doctor where the woman went to and Dr. Joy told them that she (Taiwo) said she would not stay at the General Hospital, Igando again. The Public Advice Centre (PAC) and the Child Protection Network (CPN) have petitioned relevant agencies, demanding justice. Contacted for an update, Health Commissioner Dr. Jide Idris said he was expecting the report of the panel today. “The panel sat at the HSC board. I gave them till tomorrow (today) to submit their recommendation to me,” he added.